The compact Confidence 20 takes the performance, the passion and the power of the range’s larger speakers, and puts it on a stand. 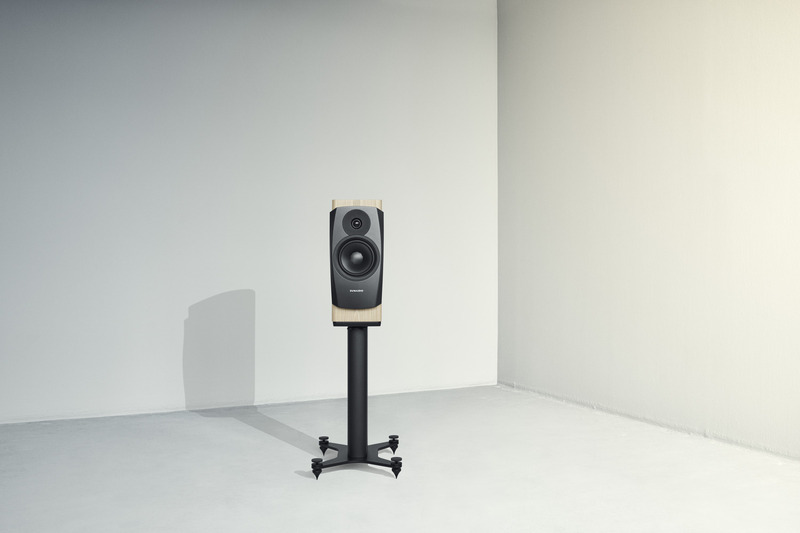 Dynaudio spent years looking at how they could improve on the previous range of Confidence speakers. And, after almost countless hours in design labs, their state-of-the-art Jupiter measuring facility, modelling and simulation suites – and, of course, listening rooms – they have done it. Like the rest of the range, the Confidence 20 features the all-new 28mm Esotar3 soft-dome tweeter, plus a new 18cm NeoTec MSP woofer and an innovative down-firing bass port. Its drivers feature cutting-edge developments in airflow technology (including a much larger rear chamber and optimised venting in the tweeter, plus the new resonance-stabilising Hexis inner dome); simulation-derived diaphragm thickness; super-powerful neodymium magnets; and the new Compex front baffle. The new 28mm Esotar3 soft-dome tweeter takes over 40 years of Dynaudio expertise, plus plenty of new learnings from the award-winning Esotar Forty unit – and rolls it all into the finest tweeter Dynaudio ever created. A powerful neodymium magnet system, innovations in airflow routing, the new resonance-busting Hexis inner dome… it all combines to increase detail, clarity and sensitivity. The new 18cm NeoTec MSP woofer also has neodymium under the hood, and uses glass-fibre in its voice-coil former for optimum stiffness. The voice-coil itself is aluminium (which provides the right combination of lightness, stiffness and damping for tighter, more powerful and more controlled bass). And the entire woofer motor has been designed to harness airflow using an innovative new venting system that’s been machined directly into the magnet. Dynaudio guessing that you want to know how it sounds… and the answer is, simply, “like your favourite artist”. Nothing more, nothing less. Dynaudio put Confidence through intensive –and exhaustive –testing in the Jupiter measuring facility at Dynaudio Labs. Hundreds of hours of analysis and listening have resulted in the best speaker Dynaudio ever created. The legend continues. The all-new Esotar3 is optimised for detail, finesse and performance. It includes the ingenious Hexis resonance-defeating inner dome, plus innovations in materials, airflow and more. Dynaudio Directivity Control, our sound-shaping technology platform, has been rebooted, revamped and refined to include the DDC Lens –a unique machined waveguide that focuses your music exactly where it should go: your ears.